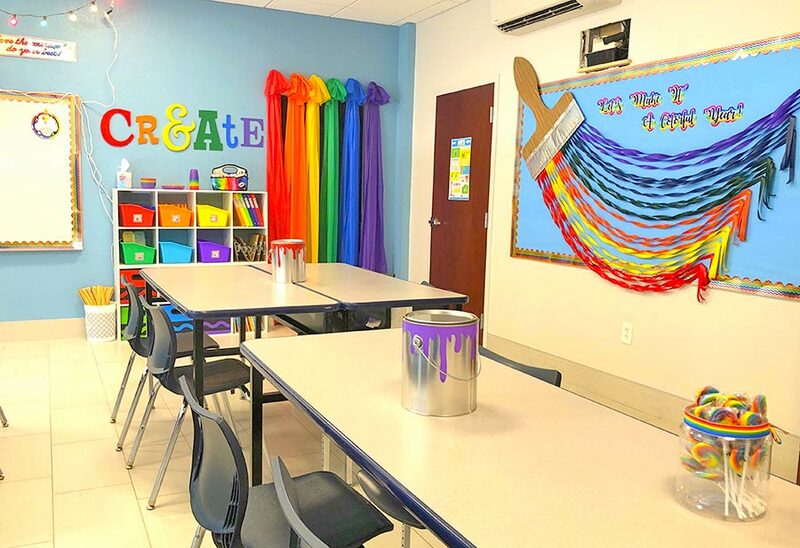 The mission of the Plato Academy Art department is to provide quality arts education for all students by adhering to a Discipline-Based Arts Education program. This program presents a sound art curriculum including the following components: Art production, Art history, Art Criticism, and Aesthetics. 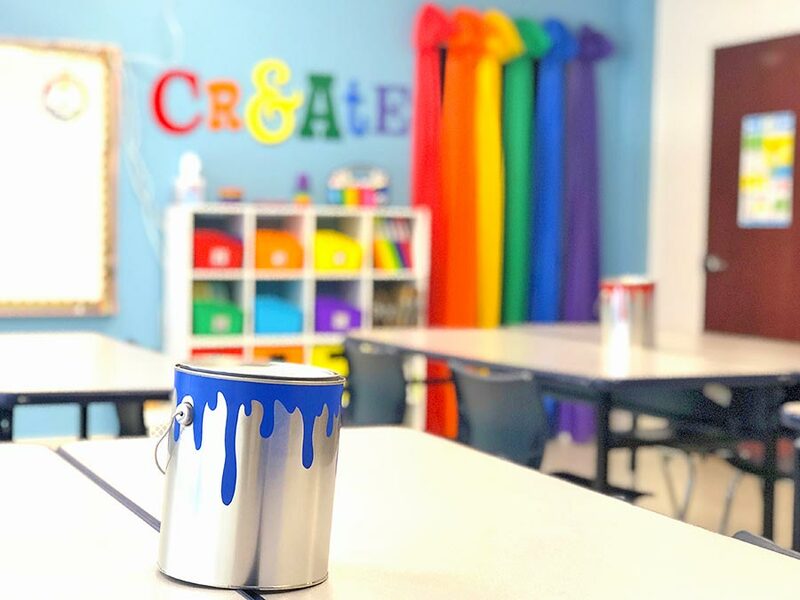 This ensures that all students receive a rigorous study of the arts and also involves the integration of the arts into any curriculum including math and social studies. 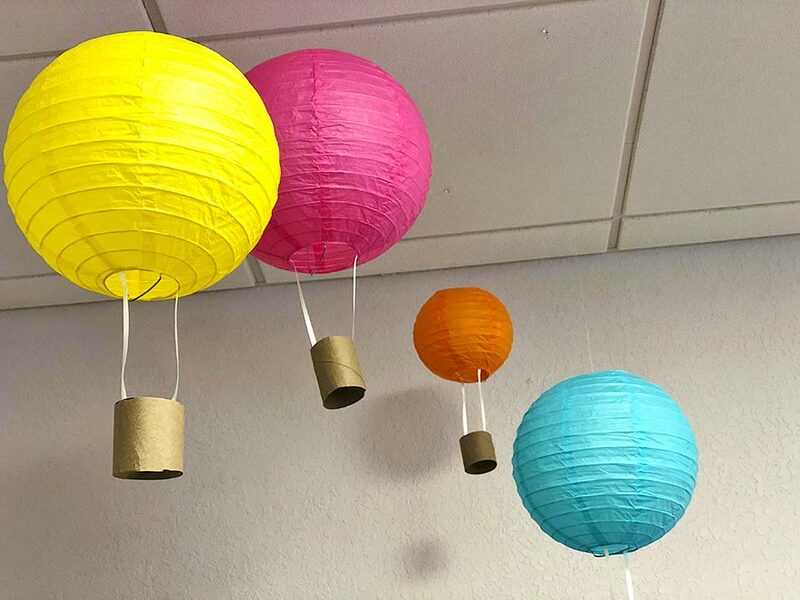 Students also participate in an annual student art exhibit in which they have the opportunity to showcase their talents and creativity to family and friends. 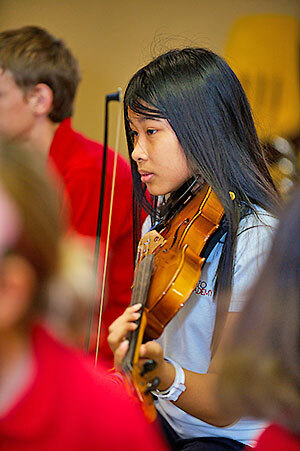 Schools with music programs have higher graduation rates than those without programs. (90.2% as compared to 72.9%) (Source: info@menc2.org) Students score higher on standardized tests especially in English and Math than students with no music at all. (Source: MENC Journal, Winter 2006) Students of music outperform their no-arts peers on the SAT according to the College Entrance Exam Board. 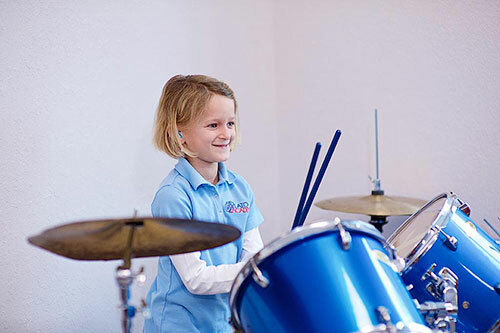 (Source: www.collegeboard.com) Some measures of a child’s intelligence are increased with music instruction. (Source: http://www.apa.org/monitor/jun06/iq.aspx ). 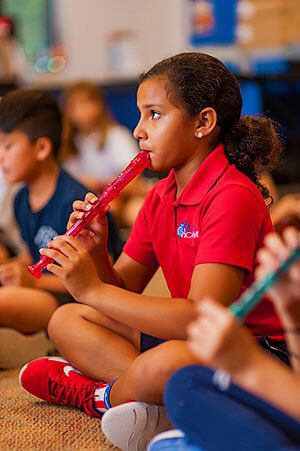 Our philosophy encourages children to experience music on many levels. This includes speech/chants, movement, singing, drama, and playing pitched instruments. 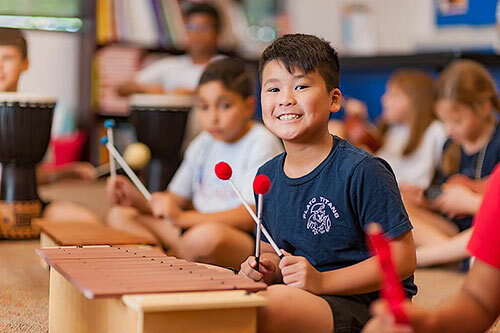 We begin recorder instruction in first grade and supplement with a mixed set of soprano, alto, and bass xylophones, metallophones, and glockenspiels. 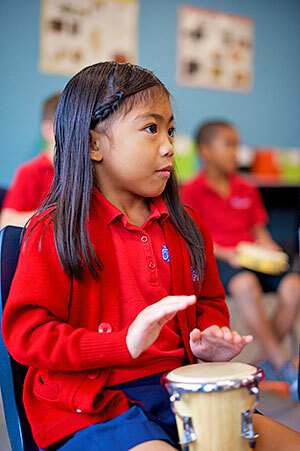 Before the students use mallets, we practice helpful exercises using body percussion.